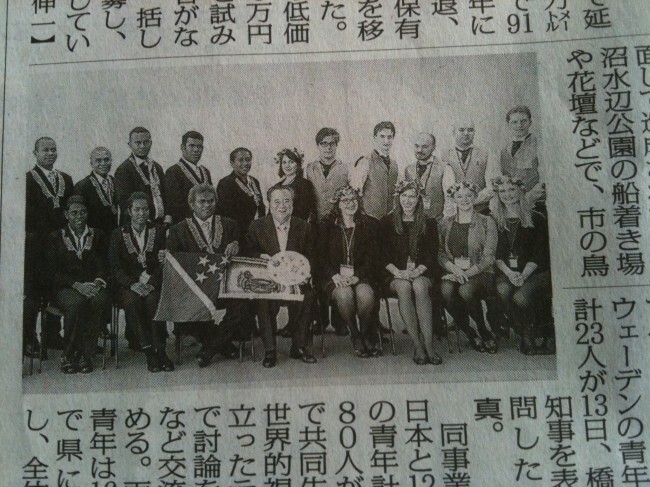 The Swedish delegation together with the Solomon Islands in the newspaper. 15 January 2011. In the middle the Governor of the prefecture Ibaraki.